Buffalo and good food go hand in hand. Early in 2015, The National Geographic released a list of the 10 best food cities around the world. And which city surprisingly ranked in the top three? Buffalo! Recognized for our killer wings from The Anchor Bar, we beat some very well-known cities around the world like Osaka, Japan, Lyon, France, and Bologna, Italy. Reading this article got me thinking, wings aren't the only good food in Buffalo, there's tons of non-chain restaurants that are locally owned and based in Buffalo. So, here is my list of the top sixteen restaurants in Buffalo (and throughout Western New York), from hotdogs to burgers to wings to Japanese homestyle noodles –– we have it all. As The Natural Geographic stated, Buffalo has some of the best (if not the best) wings in the world. 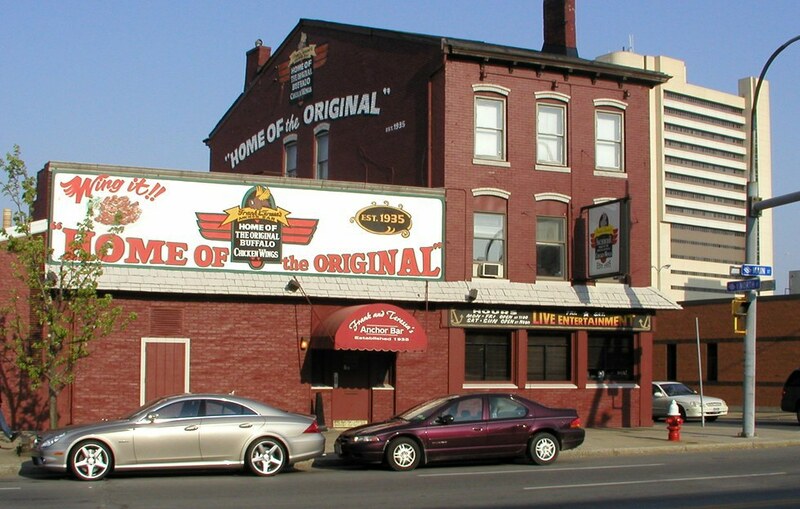 Buffalo's famed spot for the birth of our famous chicken wings is a must try if you're a college student from out of town. 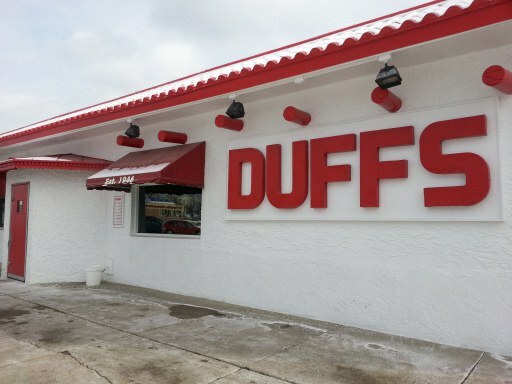 If you don't like The Anchor Bar, Duff's Famous Wings has 5 locations across Western New York with wings that are to die for. There's a constant debate about which spot is better, so let us know in the comments if you prefer one over the other! Looking for a modern take on your crappy 45 cent ramen? 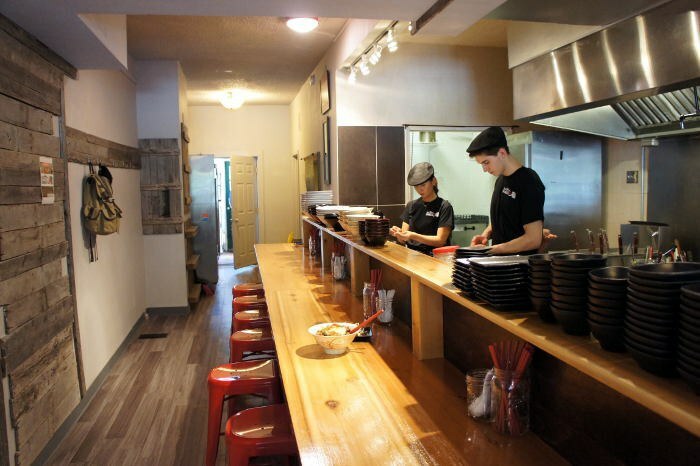 SATO and SATO RAMEN bring a modern twist of traditional Japanese food to our home town. 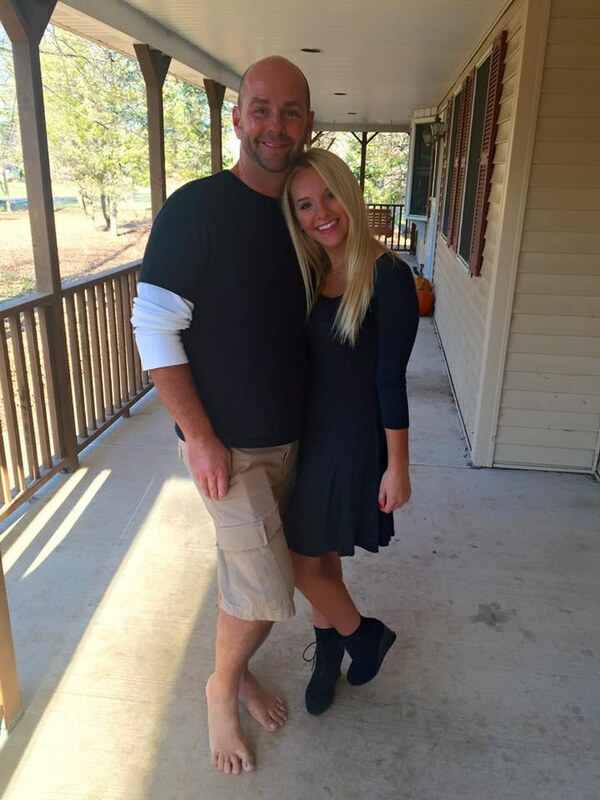 They have won a slue of awards and is a go to spot for anyone who loves a great plate of sushi or killer ramen. Plus! SATO RAMEN is right down the street from South Campus! Are you a lover of chicken tenders? Then Tully's is the spot for you. 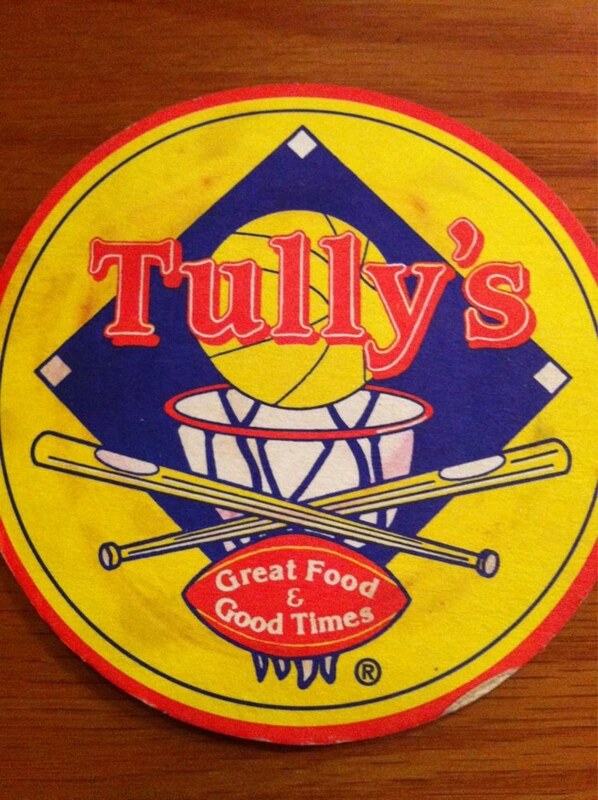 This sports restaurant is well known for their famous "Tully Tenders" commonly known around Buffalo as the "best chicken tenders on earth". Looking for traditional Greek food in Buffalo? 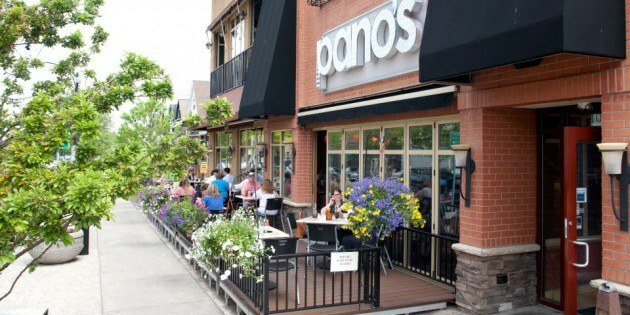 Panos is by far the go to spot for great souvlaki, gyros and seafood. 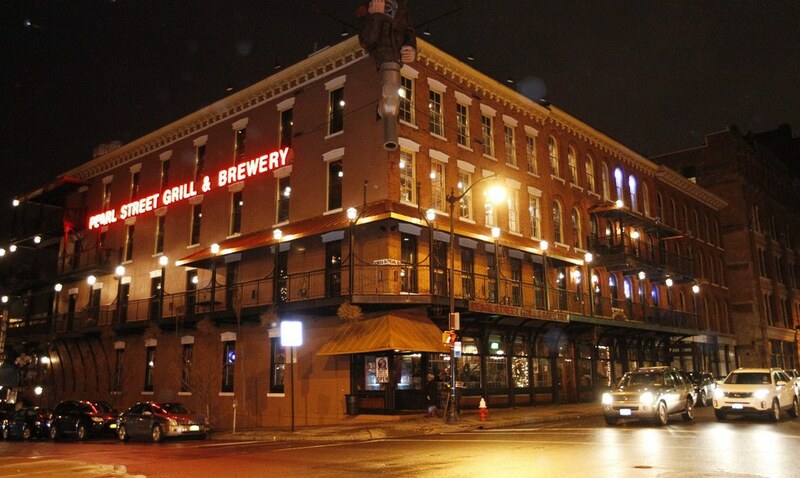 Located in the heart of downtown, you can enjoy fantastic food in one of Buffalo's most hip, trendy neighborhoods. 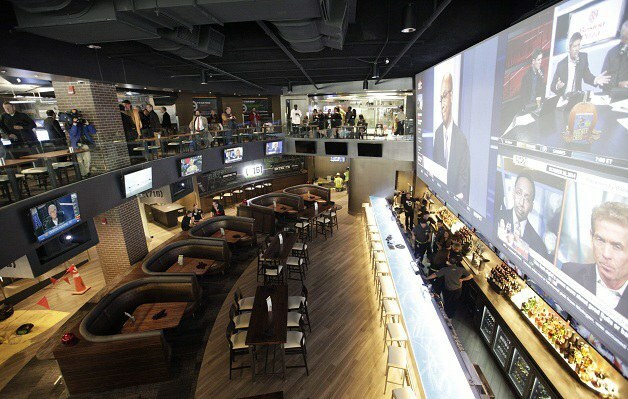 Conveniently located right next to the Fist Niagara Center, The Harbor Center and basically any event downtown is Buffalo's newest, luxurious sports bar: 716. If you're looking to grab a burger and a beer while watching the Bills or Sabres play, head over to 716, and watch it on their 38 square foot TV that can be seen throughout the whole restaurant. Need to go to the bathroom but don't want to miss a second of the game? Don't worry! Their bathroom mirrors have TVs built into them –– talk about freakin cool. This laid back Lebanese-American cafe is a great "collegey" type of bar with amazing comfort food. It's a vegetarian friendly, hang-over curing, lentil loving restaurant located right down the street from south campus. You'll love the food and the hilarious food names (wet shoes, Margie meal and berrylentil to name a few!). Another great spot to enjoy wings and watch the Sabres play, while also enjoying house brews, killer beef on weck and amazing loaded fries. Fish tacos and gouda soup are just a few of their more interesting dishes, and on each level of the restaurant the fun increases with banquet spaces and in-house bars; and the view of Buffalo from their patio gets increasingly more beautiful. Interesting and diverse couldn't even begin to describe how awesome this half bar half restaurant is. 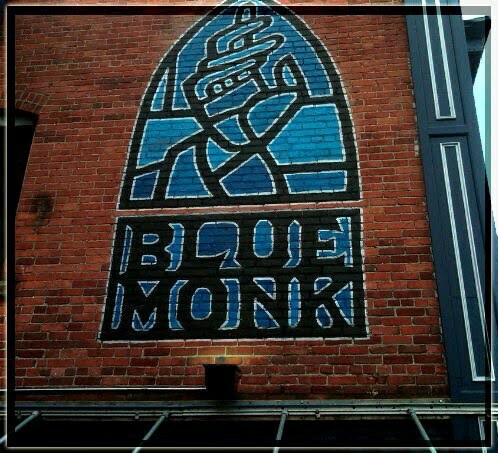 The Blue Monk is a Belgian joint with a crazy menu of beers and oddly satisfying food. From their famous duck frites to poutine and other Belgian staples, pair any of them up with a craft or artisan beer, and you'll enjoy your night in this buzzing spot. 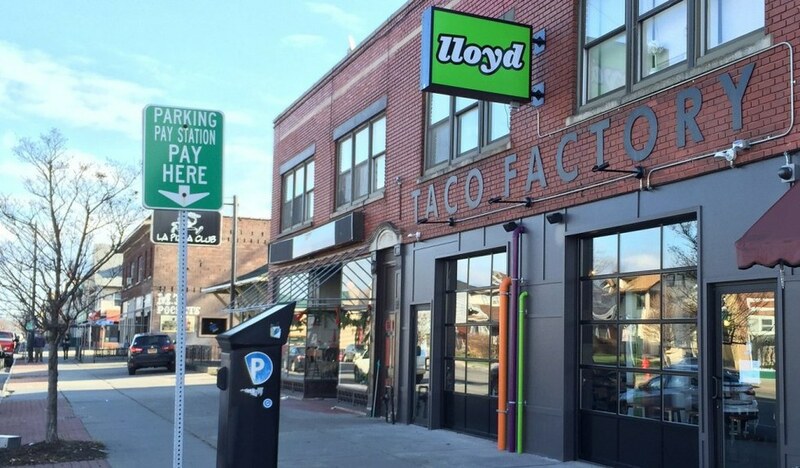 The mothership of Buffalo's original food truck is Lloyd's Taco truck. Looking for tasty innovative tacos, but don't want to hunt down their truck? Problem solved! They now have a brick and mortar location where you can satisfy your taco needs at any time, but be prepared to wait, this popular spot brings in a full house every day, but believe me, it's worth the wait. I'd personally recommend the Hombre Quesadilla, Chicken Nachos with Guacamole and the Dirty South (some of my personal favs). This is one of my all-time favorite restaurants since I was a kid. You get to eat in a 50's style diner in a neon diner car and listen to classic tunes straight from the jukebox –– you get the whole package! Comfort food made with ingredients from local farms, delicious, thick milk/malt shakes and other favorites (like their potato pancakes and griddled mac n cheese) have kept me coming back over and over again throughout the years. 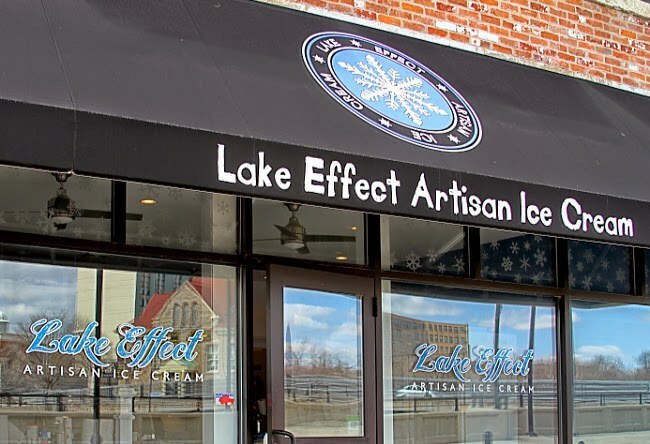 Perry's isn't Buffalo's only Ice Cream, Lake Effect has amazing flavors such as Loganberry, Paula's Glazed Doughnut, Frozen Hot Chocolate and Icewine Sherbet. From their Buffalo inspired flavors to their regulars, this ice cream is literally to die for and worth every dollar! OK, so this one isn't strictly in Buffalo, but it's another personal favorite, and it's the best BBQ you can get in Buffalo. 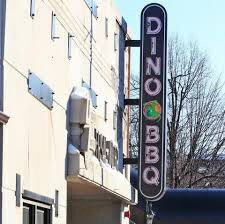 Their food lives up to it's restaurant's name, the portions are amazing and enough to feed a dinosaur. Their variety as far as meats, spice levels, and sides is mind blowing. I suggest trying their Dino Poutine, Deluxe Brisket Plate, Bacon Deluxe Burger and their Swag Sampler Plate if you and your friends are daring and hungry enough. 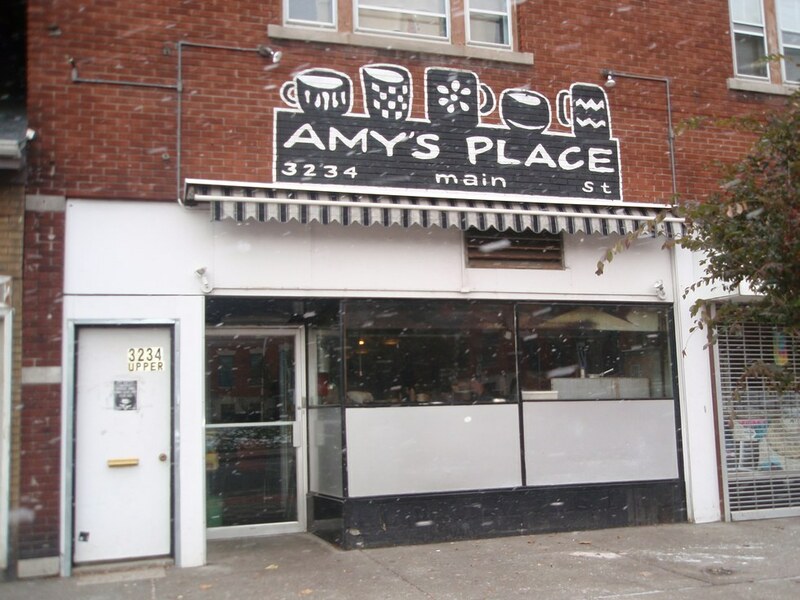 Buffalo's favorite spot for homemade custard, beef on weck and curly fries! What Buffalonian doesn't love themselves some good ol' Anderson's? 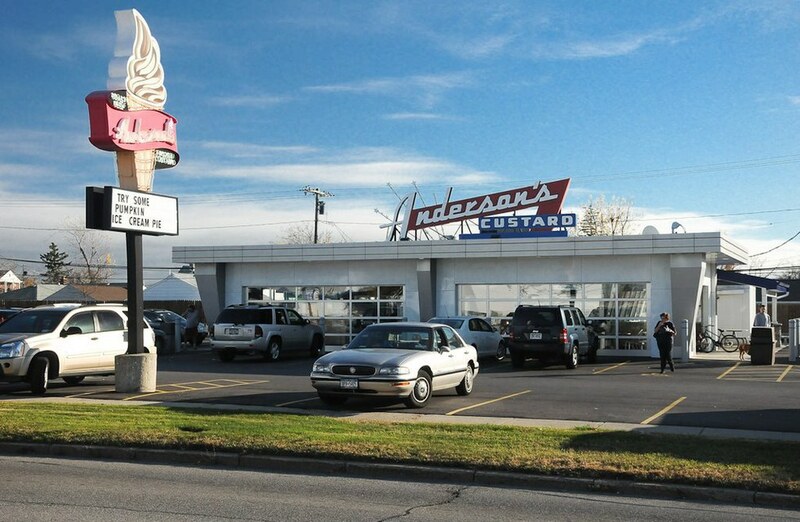 From their amazing custard (their seasonal flavor pumpkin is the bomb.com) to the classic beef on weck, every Buffalonian has had to have gone to Anderson's at least once in their lifetime (more like a million times). With various locations all throughout New York, I highly suggest going to this local ice cream shop if you out of town college students haven't already. If you ask a local Buffalonian what a good restaurant is to try and they don't suggest Ted's, they're crazy. First off, you get a Salens Hotdog, which is way better than any freezer ballpark dog you could ever find (and a Buffalo only treat!) so don't even try to argue with us or we'll hurt you. Second! They're food is awesome –– fries, onion rings, burgers, dogs, and footlongs; it's all amazing. 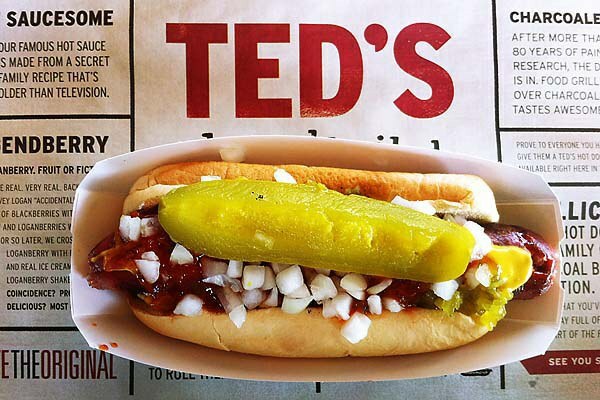 So if you're looking for a quick bite to eat, go to Ted's get a Loganberry, footlong and curly fries, and you might be able to start calling yourself a Buffalonian. Last, but certainly not least, is Chef's Restaurant. 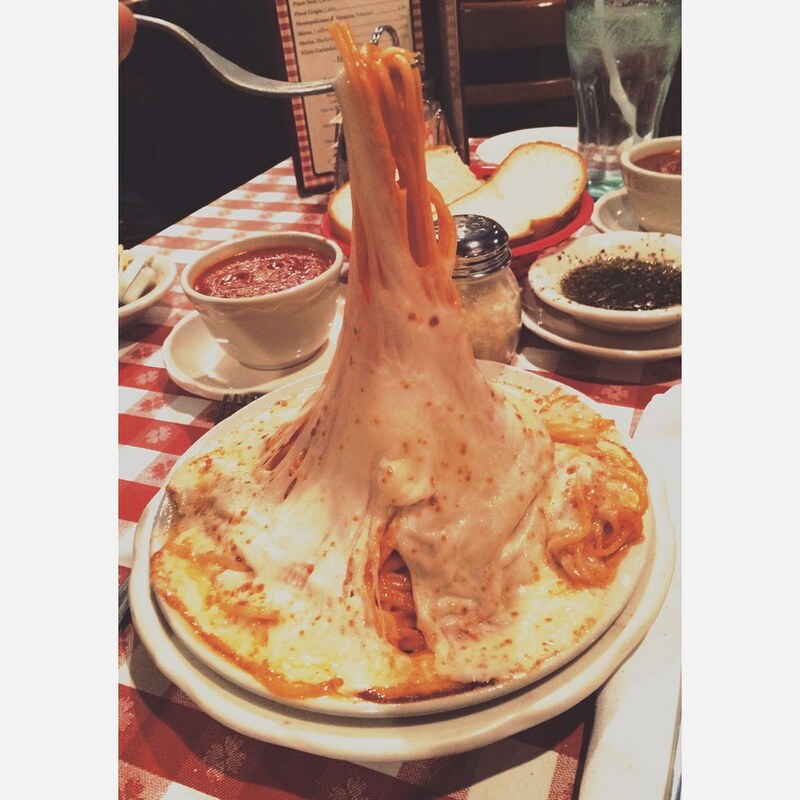 Their famous sauce will be the reason you go, and their spaghetti parmesan will be the reason you stay. If you're craving Italian food, and you don't want to wait forever for it, Chef's is the best. Not to mention the bread that they bring you before the meal is amazing, and what they bring you to dip it in is even better. If you like Italian food, if you love cheese and if you like nice waitresses, Chef's should be on your list of things to conquer in Buffalo. I hope that if you're from Buffalo you can vouch for me and agree in the fact that all of these restaurants are amazing (plus many others) and that anyone from out of state needs to try these at sometime during their stay in Buffalo. If I missed any that you think deserve to be listed leave me a comment! Hope you all enjoy, and most importantly –– Happy eating! !